How cute are bento box lunches?! I am absolutely in love with them and have actually started creating some of my own, of course mine are super simple. But I thought it would be fun to show case some I came across on Instagram. These great ideas are just missing some Honest Kids. 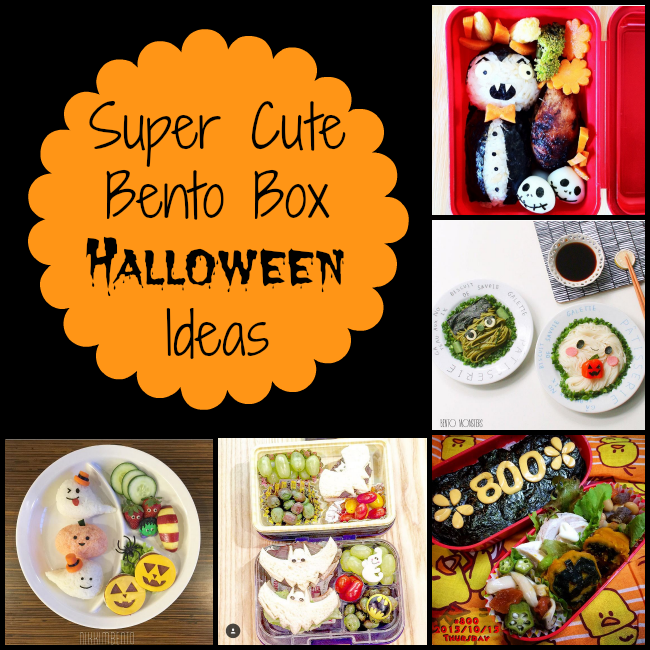 What would make these bento box creations complete? Honest Kids juice from Honest Tea. Honest Tea seeks to create and promote great-tasting, healthier, organic beverages. They strive to grow their business with the same honesty and integrity they use to craft their products, with sustainability and great taste for all. In 2013, Honest Tea removed the organic cane sugar from all Honest Kids varieties. They found a way to deliver the same great taste by sweetening the juice drinks only with fruit juice. Fair Trade Certified and USDA Organic. Why not give out something to the trick-or-treaters that they will enjoy without all the junk. Found at Whole Foods, Target, Walmart, and even online at Amazon.com. 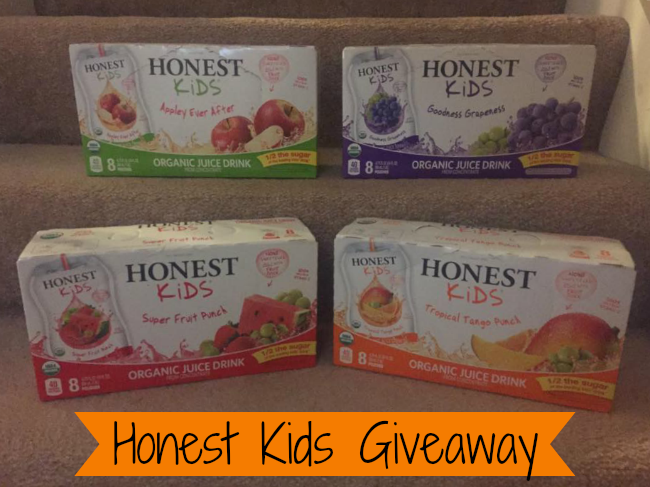 One Nanny to Mommy reader will win all four flavors of Honest Kids! Entry is simple, just follow the prompts on the Rafflecopter below. Open to US only, must be 18+ to enter. Make sure to check out our other giveaways and Good Luck! Although I received complimentary products to provide this post. All opinions are my own. Nanny to Mommy is not responsible for prize fulfillment. I would like to try Tropical Tango Peach. I would like to try the Super Fruit Punch. The tropical tango sounds good. Tropical tango peach sounds yummy! They all sound really good. My family does not drink/eat anything that is genetically modified, so I am very excited about this organic option! I think the grape sounds really good, and would be something that we all love. I also love they are fair trade!!! Makes me very happy! Tropical tango punch sounds delicious!! I'd like to try the Watermelon! the flavor Im most interested in trying is the grape juice boxes. I'd like the Tropical Tango. My grandkids would love it. I would love to try the Super Fruit Punch! I've tried all of the flavors except the Tropical Tango, so it's time to check that one out! The tropical tango punch looks good, I'd love to try that one. Would love to try the grape flavor! They look very delicious! I'd go with the grape flavor. We've had them all besides Tropical Tango!! So we'd love to try that one the most!! We would love to try the Tropical Tango Punch that sounds good. I think the Tropical Tango Punch sounds yummy! I really want to try the tropical tango punch, sounds yummy!! The Goodness Grapeness sounds delish! Cool giveaway. The Appley Ever After sounds really good! I've never tried any of these juices, so I'd be excited to try any of them. The Fruit Punch sounds most refreshing! Yum! The organic grape juice sounds delicious! I love to try the grape, grape is my favorite flavor of drink. My kids love Honest Kids juice, and like all of the flavors equally! I'd like to try the grape. I think we would like to try the Appley Ever after Flavor! The Super Fruit punch would be great. I really want to try the Tropical Tango Punch. The Tropical Tango sounds wonderful! The Tropical Tango Punch sounds delicious! I would love to try the Appley Ever After Juice! I've tried the pink lemonade and loved it! My boys are huge fans too! I am most excited to try the Tropical Tango Peach. My daughter would sure love all the flavors! My son would love the tropical tango punch or the super fruit punch. My favorite would be the Apple Ever After or the Fruit punch one. super fruit punch would probably be a hit at my house with all my kids! My kids would love to try the Super Fruit Punch! I would like to try Goodness Grapeness. Cute name! My grandsons would love to try the Super Fruit Punch. I am most interested in the watermelon, my little one would love it. i think the goodness grapeness flavor is the one i would like to try with my kids first! I cant wait to try the tropical tango punch. Tropical mango sounds delicious. These names are all so creative! I would love to try the Tropical Tango Punch flavor. "Appley Ever After" sounds whimsical and I would love to try it.